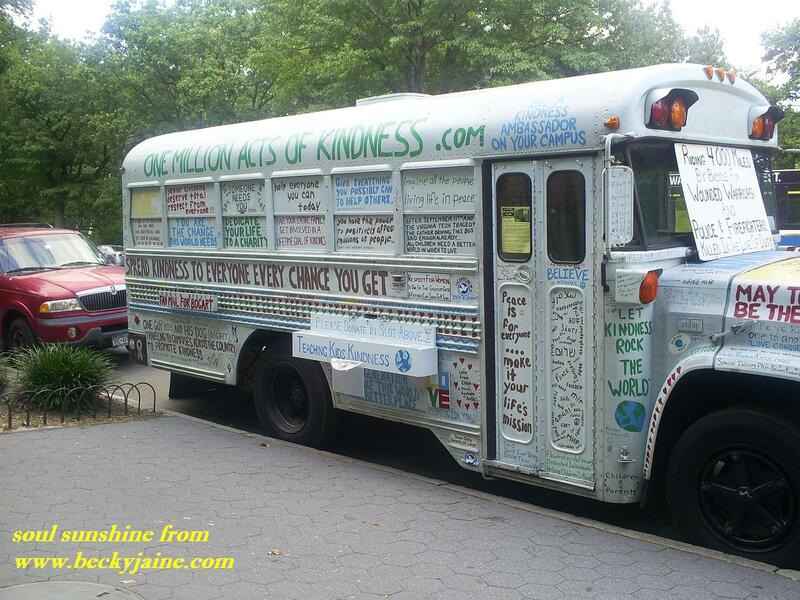 In New York City last August my husband and I discovered a national treasure NOT on our tourist map: the One Million Acts of Kindness bus. This vehicle (which is about to be retired) has helped Bob–the inspired driver–and Bogart–his dog– reach destinations across the US committing acts of kindness. Bob is living his life with the intention to commit 1,000,000 acts of kindness in his lifetime. What an amazing proposition. Imagine our world if everyone lived with a similar intention. Let me share some numbers. If Bob lived to be 85 he would have to commit 11,764 acts per year: That’s 32 acts per day. Let’s see, I’m 42. If I do at least three acts a day for the next 40 years of my life that will mean I’ll have done 43,800 kind acts. Sounds like a good round doable number. Yes, that’s it … I’m IN!!! I promise to commit at least 3 acts of conscious kindness a day starting NOW. Won’t you join the Kindness Cartel? Imagine if our world used kindness as currency. Imagine yourself constantly looking for opportunities for kindness. 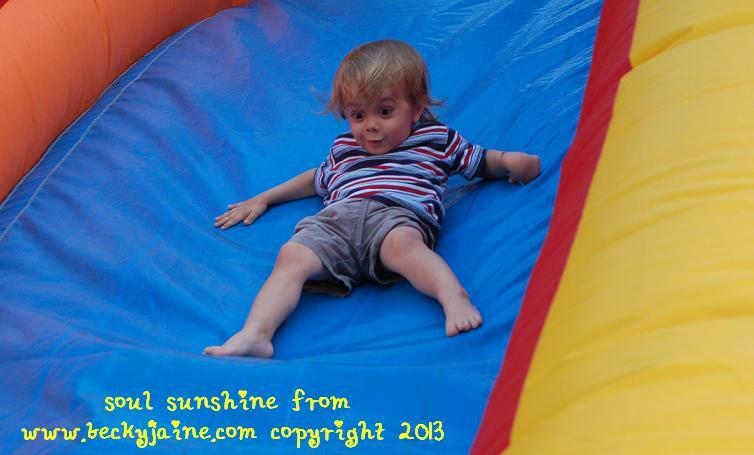 Strangers and everyone in your life … how would their lives and your life change? Kindness begets MORE kindness. If we focus on being kind we will not only generate positive good for others, but we will be surprised to find MORE goodness in our own lives. Kindness matters. Kindness is contagious. More kindness means more joy and less suffering. What a wonderful idea! Okay, time to set an intention. I love you Becky Jaine. Kindness begets kindness. It’s the world I believe in.